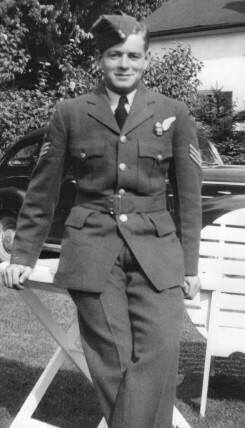 Robert Earl McNiven enlisted with the Royal Canadian Air Force on Sept. 1, 1943, and was honourably released and transferred to the reserves on April 11, 1945. He received the Canadian Volunteer Service Medal, the War Medal and the Wireless Air Gunner’s Badge. He later owned part of Lot 2, Concession 8, and Lot 3, Concession 7.